Polar bear gangs gotta tag something. And yes this is real notice the refletions exp. the yellow one. look closer. 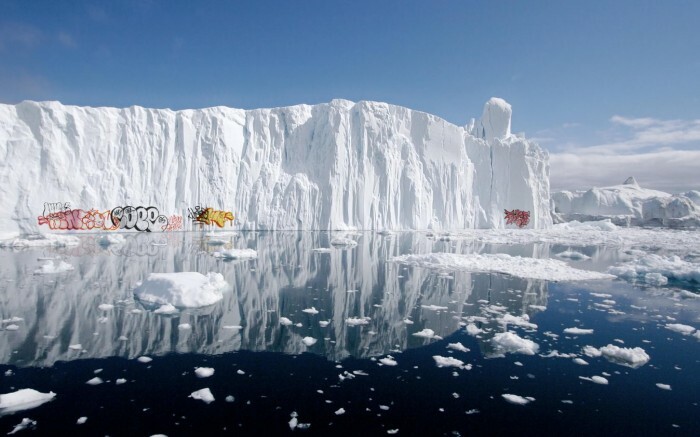 the “graffiti” doesn’t follow the contours of the ice at all. I stared at this for a few minutes. A+ shop job would be fooled again. you do know you can make reflections in photoshop right?